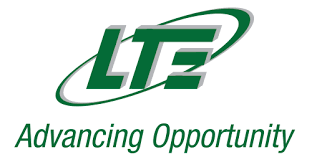 LT Environmental, Inc. (LTE) is seeking an Staff Environmental Scientist or Engineer for our location in Williston, ND. The Environmental Professional will primarily be responsible for report writing, SPCC plan generation, Visio drafting and QA/QC of diagrams drafted by others, and oversight of contractors in the field. Some soil and groundwater sampling, construction stormwater inspections, SPCC inspections, LDAR inspections, NORM surveys, and due diligence inspections will be required as will occasional overnight travel to complete multi-day projects. Experience completing SPCC inspections, site diagrams, and generating SPCC plans is ideal as we are typically overwhelmed with this type of work. This is a full-time position with typically 50% of time spent in the field. LTE maintains a fleet of trucks for fieldwork and travel to project sites. An environmental or related degree or certification is preferred but not required. A minimum of two years of environmental consulting experience or similar professional experience is required. Current 40-hour HAZWOPER training is ideal as all LTE employees are required to complete this training prior to the first day of employment. Perform office work and field work in support of LTE’s Bakken clients. Provide direction to junior staff, prepping for field work, and general project management. Interact with contractors and clients in the field. Communicate regularly with Client Managers, Group Managers, and Project Managers located in Williston, Dickinson, and in other LTE offices via cell phone, e-mail, and video conference. Local travel to multiple project locations in rural areas on unpaved roads. Overnight stays to complete larger projects is infrequent but expected. LTE pays all travel expenses. Perform field activities and/or other duties as assigned. You will experience a high degree of variation in your daily work activities. 2-year or 4-year college degree or certification in an environmentally-related field (basic knowledge of hydrology, soils, etc.). A minimum of two (2) years of experience as an environmental consultant or working in a comparable professional environment. An interest in pursuing an environmental career based in the Bakken region. Resourceful, critical thinker, problem-solving skills. Positive, team-oriented attitude. A safety-first approach to all work activities. HAZWOPER certification is a plus. SPCC experience is a plus. Mechanical/construction skills are a plus. Ability to travel occasionally and work independently most of the time. Valid driver's license (no DUI/DWIs). Applicant must be able to pass a drug screen and baseline physical. Individual must be physically able to walk around sites, lift up to 50 lbs., occasionally climb slopes and berms, and cross uneven terrain. LTE is an Equal Employment Opportunity Employer.